Korean boy band Infinite’s Hoya opened up about his bandmates’ response to the movie featuring himself, “Hiya,” in an interview with OSEN on Tuesday. According to the report, four members of the seven-member boy band came to a movie promotion event at a cinema in Seoul on March 8 to support him. Sungyeol and Sungkyu were unable to make it due to schedule clashes. 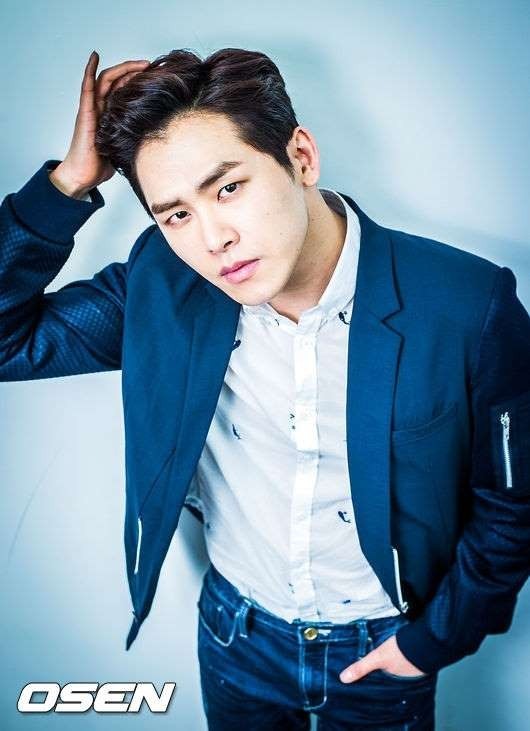 Hoya, 24, who uses his real name Lee Ho-won as an actor, recalled how the others sent him messages of support, especially Dongwoo and Woohyun. Hoya said Dongwoo burst into tears while watching the movie, and Woohyun sent him a long letter through a messenger app. “Infinite members don’t compliment one another much, even when members notice an achievement. The closer we are, the less likely we openly praise each other. Given that tendency, I was so moved by Dongwoo and Woohyun’s reaction,” Hoya added. “Hiya,” released on March 10, is a drama flick about a male sibling’s brotherly love. Hoya, who made debut with the film, acts as a younger brother, an aspiring musician who deals with a troublemaking, delinquent elder brother (Ahn Bo-hyun). Infinite debuted in June 2010 with the album “First Invasion,” and has since released hit tracks such as “Be Mine” (2011), “BTD” (2011), “The Chaser” (2012) and “Bad” (2015).